Hi, friends! 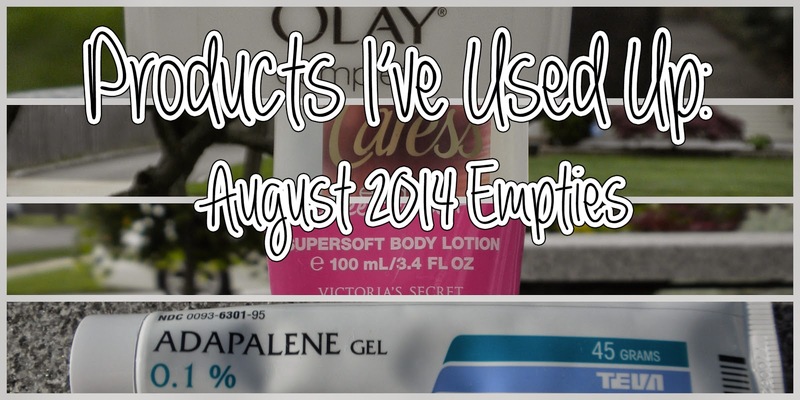 It's been a little while since I've done an Empties post, so I figured it was about time we took another look through my trash. Plus, I always find these kinds of post so interesting to read; I don't know why. 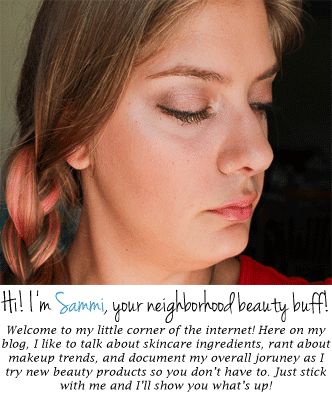 Without further ado, here is my beauty garbage and what I thought about it! EDIT: This post was down momentarily and underwent some changes on September 9th because of an error with Blogger. My skin is already missing this prescription cream! I used this on my t-zone to keep acne at bay, and I found it really effective. I started using this last August. It took a long time to work (around a month and a half to two months), but by the time I went home for Thanksgiving break, my blackheads were gone. And now my nose is already starting to look clogged again. It's a sad, sad day. I'll have to go back to the dermatologist to get more. If you have mildly acne-prone skin and are interested in learning more about it, talk to your dermatologist (as I am not one, nor do I have any sort of medical degree that makes me certified to tell you what prescriptions to get. Disclaimer: over). I think this eye cream was "okay," but for that much money, I think it should have been more than "okay." I'm also not a big fan of jar packaging for skincare, since having repeated expose to the air makes the beneficial ingredients unstable and eventually ineffective, so you're paying for a cream to do not much of anything after awhile. If you're going to buy an eye cream that is simply moisturizing, go to the drugstore--you'll save yourself some money. I'm really not picky with my eye creams, as pretty much anything will do as long as it doesn't irritate my skin/eyes, so I'd rather go for something more affordable. This product has changed the meaning of "body butter" for me. I'm pretty sure the Italians at Perlier just kind of milk their cows, churn the butter, and stuff it into these containers before shipping them out. Yes, they are that thick. They're kind of like a mix between a cream and a balm--you have to either scoop a chunk out or rub the top of it with your fingers. This is incredibly moisturizing, up until the last bit in the jar. I especially loved using this on my elbows, knees, and feet. They're kind of pricey, but one container will last you a really long time. I use up lotion so slowly that Victoria's Secret doesn't even make this scent anymore. It smells like grapefruit, and I always like to pull out something fruity or citrus-y for the summertime. The formula was an average lotion for me, so for me it was just about the grapefruit. If you're looking for an alternative from VS, their Sweet & Flirty lotion smells very similar. I think if you're looking for a bargain on great-smelling body washes, Caress is a brand you should check out. You get a ton of body wash for the price, they're easily accessible in the drugstore, and they have a good variety of scents. I'm also a fan of their Passionfruit and Fiery Orange Rose scent, though that one is not part of their "Silkening" line. I don't think any one of them are particularly moisturizing, so I would use a body lotion after either way, though that's a step I usually don't skip to begin with. I received this sample in my March Birchbox. I found this to be an average shampoo, just like any one I would pick up in the drugstore. I've used better-smelling shampoos, or ones with a more noticeable fragrance, but this got the job done. The price isn't bad, so if you're looking to try something less well-known, you're welcome to give this a shot. I liked this back in February but I've changed my mind since then. These were discontinued, and I finally see why. It has a similar formula to my HG CoverGirl LashBlast Volume (full review), only the "colored" varieties don't really act like other colored mascaras. My shade, Black Emerald, didn't look green at all, but rather a light grey. If I'm going to use a mascara, I want my lashes to be noticeable, so I either want them super black or occasionally a fun, dark color. If you're interested in an affordable, volumizing mascara, definitely check out their LashBlast Volume. If you're looking for colored mascara, I would look elsewhere. Well, that's everything. What exciting items are in your trash this month? Disclaimer: I purchased all of these myself. I am not sponsored by, nor affiliated with, any mentioned brands. Though I am the inventor of trash. I AM trash. Also, the intro picture has an Olay moisturizer, which I later remembered was already mentioned in my favorites last time, so whoops.